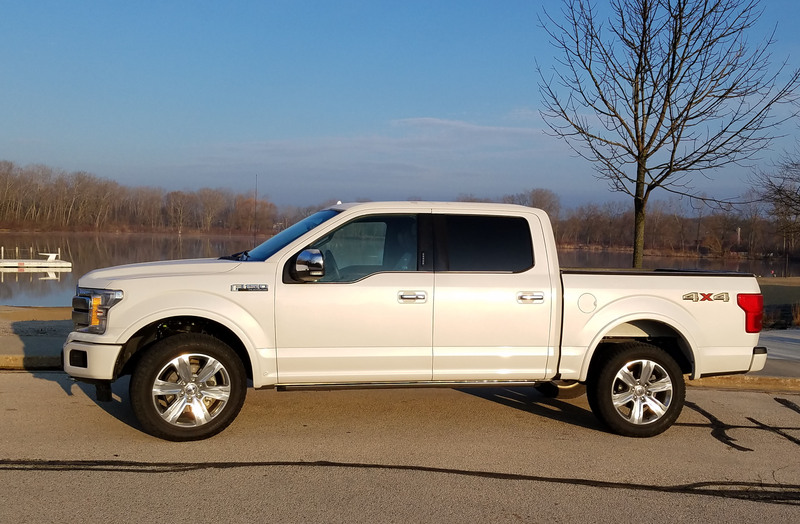 Ford’s F-150 is the best-selling vehicle in the United States because it’s both a muscular work truck and a macho man’s luxury family hauler. There are many truly wonderful mid-size, luxury, sport sedans, both heavy on the sport and heavy on the luxury. Few blend the two as well as the new Volvo S90 T6 AWD Inscription. The S90 may be the best driving car I’ve tested this past year. 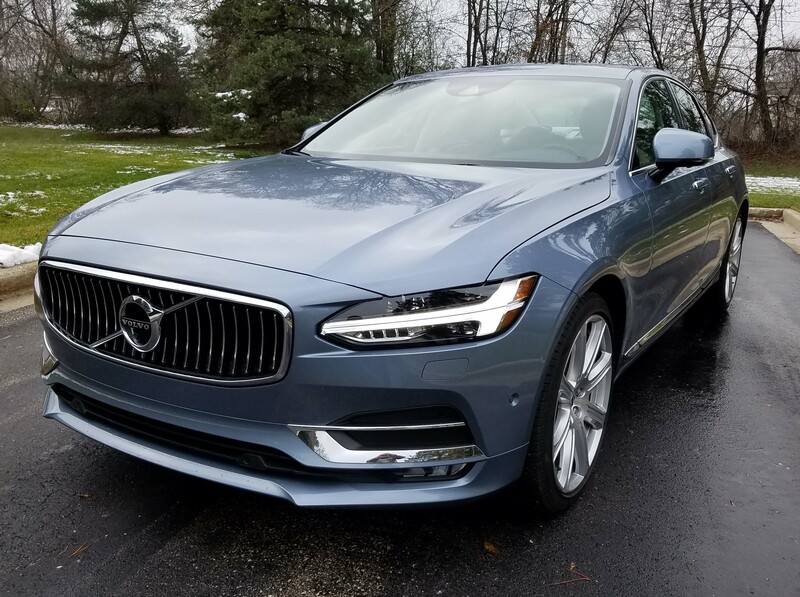 There’s irony though, because the Volvo, like an increasing number of luxury sport sedans is loaded down with a gaggle of electronic goodies aimed at nearly driving the car for you. It’s no secret that autonomous cars are just around the corner and the Volvo proves that. Each year our vehicles have more safety and driving aids and the S90 has plenty. But first let’s consider how much fun the Volvo is to drive. The S90 rides on a 115.8-inch wheelbase and features a double wishbone suspension front and rear. The result is a smooth yet athletic ride that makes the car feel one with the road, but not so glued to it that every crease and bump disturbs its occupants. The Volvo had one of the best rides I’ve experienced this year. Ah, luxury; it has its perks. For instance in Kia’s new K900 luxury sedan the rear seats partially recline, the steering wheel is heated, there’s a power rear sun shade, manual side window shades, a front passenger’s seat with full power and two memory settings. Some of that comes with a $5,000 VIP package, but what’s standard here is impressive at the $54,900 list price. Ouch, you say, that much for a Kia? Yes, but cars that are this quiet inside, this luxurious, with this much power and so many features often start at $60 grand or beyond. With the right logo on the hood or trunk, some can run $70 grand or more. 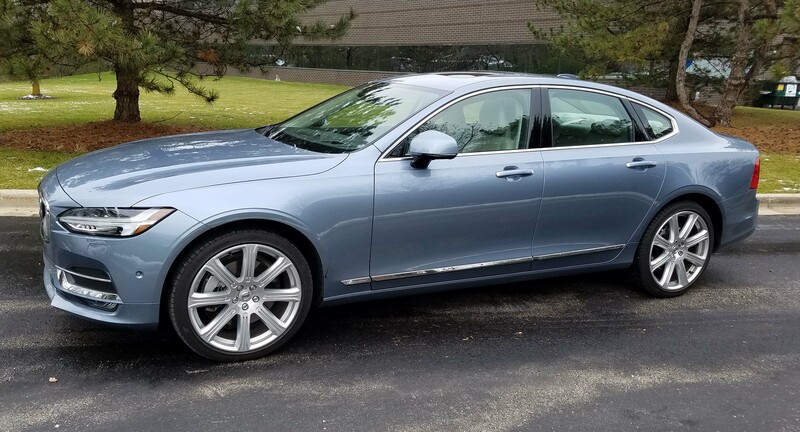 So consider this, the K900 delivers excellent power from a 3.8-liter V6 that is strong, quiet and melds beautifully with an 8-speed automatic. Shifts are silky and there’s 311 horsepower to gently move the rear-drive sedan to speed. 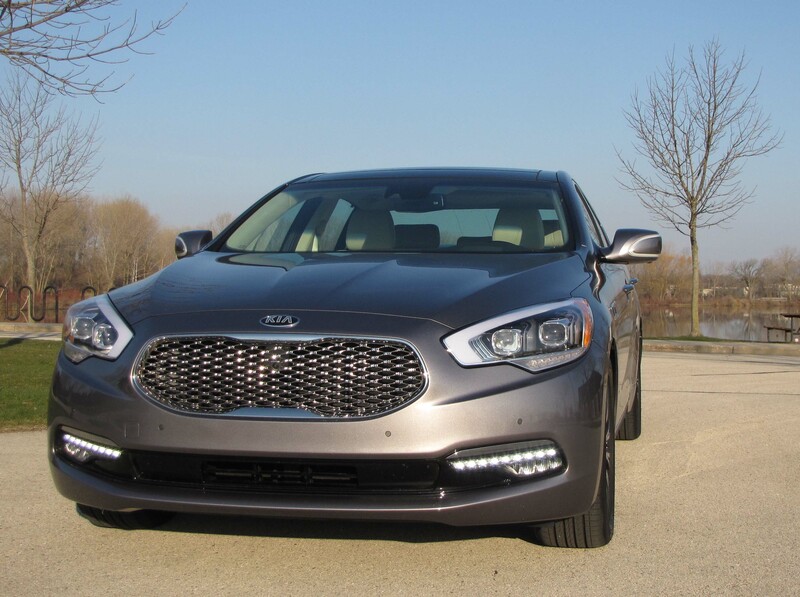 Like many cars today, the K900 also has a button to engage a Sport mode that firms the steering a bit and gives the Kia more oomph, more punch off the line. More than a year ago I told you that the only major drawback to the full-size Hyundai Equus luxury sedan was its Hyundai badge. I’m sticking by that, but if anything, the Equus has gotten better and that means other luxury makes might want to rethink their pricing. 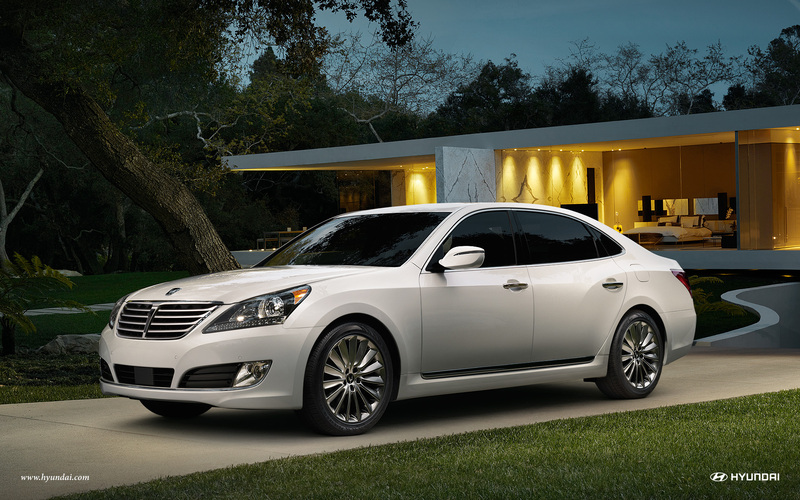 Because Equus is a superbly quiet, comfortable and powerful luxury sedan, but priced to grab market share. Hmmm, think I’ve seen this strategy before, from the Japanese makes, and now both Hyundai and Kia. Get this, the tested dark metallic brown Hyundai Equus Signature that I tested lists at $61 grand with a $920 delivery charge. Now before you go passing out from the price tag, consider that a Lexus LS460, which is similarly sized, but not quite as well equipped, lists at $71,990. My grade school math tells me this is almost exactly $10,000 less. For that amount, I could live with a lesser logo on the hood or trunk. Want to go full monty on this? OK, a top-level Equus Ultimate lists at $68,000, still less than the Lexus. And let’s not get into the German luxury makes that even a Lexus beats on price. Value is certainly a big selling point, as it has been with Hyundai for years. But if the car doesn’t perform, isn’t as quiet and luxurious feeling, well, then a lower price doesn’t cut it. More than three years have passed since I last tested a Lincoln, which tells you a lot about how stagnant Lincoln’s lineup has been. The Lincoln at least has a nose you might recognize again when you see it. Lincolns have been little more that gussied up Fords for some time, but that may be changing as Lincoln gets serious about competing with a surging Cadillac and the bevy of luxury makes from Lexus to Mercedes-Benz. 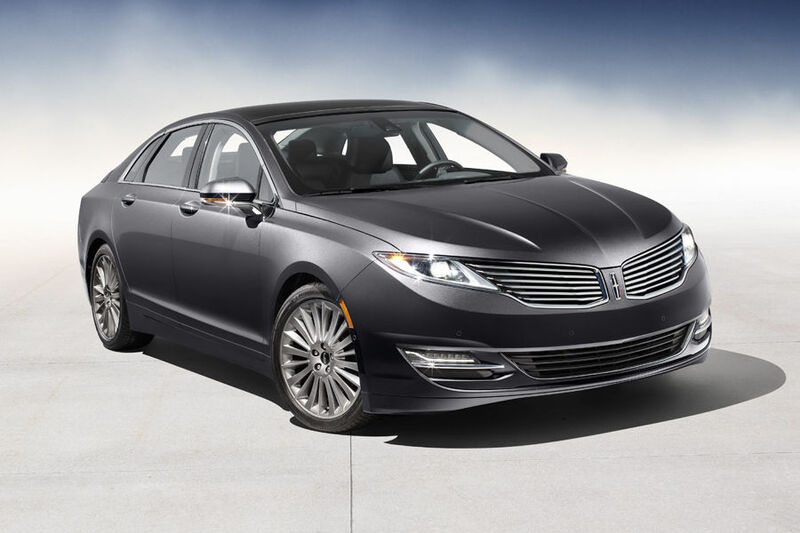 The new dark metallic blue gray (smoke quartz) Lincoln MKZ AWD I just tested is a big step forward. It looks and feels luxurious and is about two light years more refined than any Town Car or Continental of bygone days. Styling is crisp with a wingspread grille and thin taillights that deliver a flair that sets the Lincoln apart from other makes. Once you’ve seen one, you’ll recognize its looks, and there are a lot of luxury cars that blend in these days. This one has some styling staying power. Riding on a 112.2-inch wheelbase it also has some interior room and comfort. Four adults fit easily and the trunk is a generous 15.0 cubic feet. 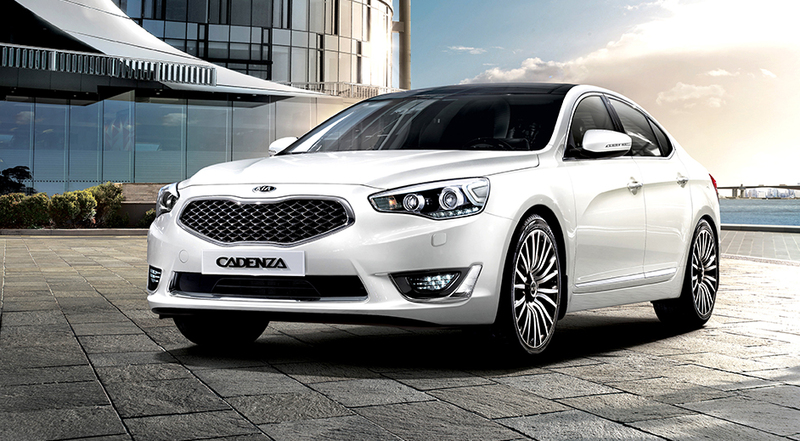 After a week of hearing jokes from colleagues about me driving a piece of office furniture, a more musically minded friend clued me in to the KIA Cadenza sedan’s true meaning. One assumes KIA was aiming more for the creativity and ornamental implications of the name. Surely the new large luxury-leaning sedan is a sparkling new addition to KIA’s lineup, and its styling, while not earth-shattering, borders on sporty luxury. It is certainly better looking and more original than say a Lexus, more along the lines of an Infiniti. But to me it compared well with the previous week’s tested Chevy Impala. Both are nearly identical in dimension, riding on roughly 112-inch wheelbases. 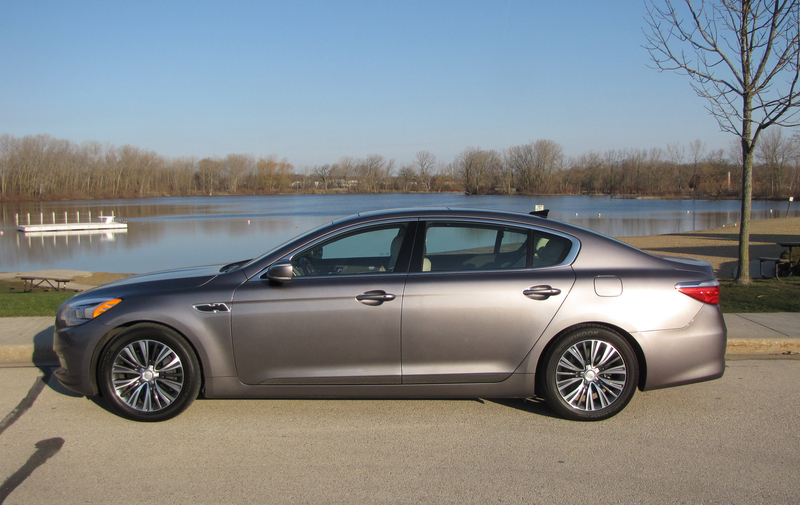 The Impala is 6 inches longer, contributing to its giant 18.8 cubic foot trunk, while Cadenza’s is a generous 15.9.